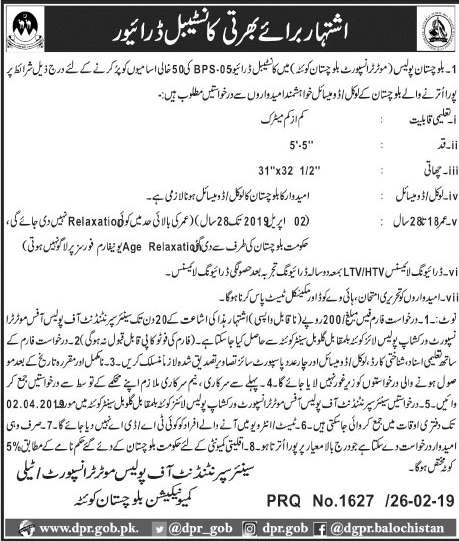 Jobs Description: Balochistan Police Jobs February 2019 are listed below in our site. The Government of Balochistan recently announced an advertisement for 50 Vacancies in Balochistan Police. Balochistan is the biggest province of Pakistan in term of land area. Balochistan Police has required the applications for the following jobs.